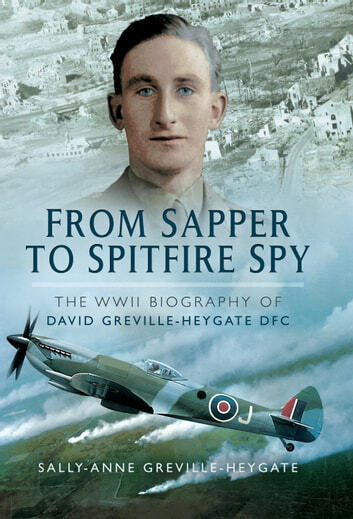 David Greville-Heygate was one of the few men who served in both the army and the Royal Air Force during the Second World War, but it was in the sky that he really earned his stripes. Stalking the skies flying photo-reconnaissance missions with No. 16 Squadron over Northern France, he was to win the illustrious and highly coveted Distinguished Flying Cross (DFC). Another highlight saw him in action in the skies above the French coastline in preparation for the D-Day landings, taking photographs that would provide the allies with essential intelligence upon which to base their plans. Based in Holland in December 1944, David flew armed recces with No.168 Squadron then transferred to No.2 Squadron where he reported on troop movements behind German lines. During the course of a dynamic and eventful career, he flew a wide variety of iconic wartime aircraft including Lysanders, Mustangs, Typhoons and Spitfires in England, the Netherlands and Germany. Although there have been many stories about the Battle of Britain there has been less published about the life of a photo reconnaissance pilot during this time. 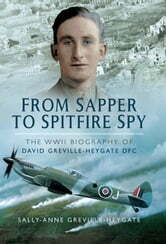 David's thrilling exploits in the sky and the part he played within the context of the wider war are enlivened here to great effect by his daughter, Sally-Anne Greville Heygate, herself a professional photographer. Using snippets from diary entries, letters, logbooks, squadron records and other documents, she has managed to construct an engaging history of a talented photo-reconnaissance pilot and the war in which he fought.